Orbea’s latest OCCAM TR M10 trail bike stands as a testament to their quality bike building practices. Featuring a full carbon fiber frame and fast rolling 29” wheels, this bike handles a broad range of trails at a swift pace. Orbea found a real sweet spot with the OCCAM’s geometry. With a headtube angle that’s steep enough to climb, but still stiff and slack enough to rip through your favorite chutes, the OCCAM is a favorite among serious trail riders. Internal cable routing and a sleek carbon design give this bike the swift look it deserves. With 120mm of plush travel, the OCCAM can effortlessly smooth out your favorite trails. A SRAM GX Eagle drivetrain featuring effective 1x12 gearing gives you command of steep climbs, sprints, and descents. Race Face handles the cockpit with Aeffect bars and a short Aeffect stem to give you ultimate control. DT M-1700 wheels are light and stiff for ultimate power transfer. Maxxis Forekaster tires give you ample grip in a variety of trail conditions. The Race Face Aeffect Dropper post lets you seamlessly transfer between climbing and descending. 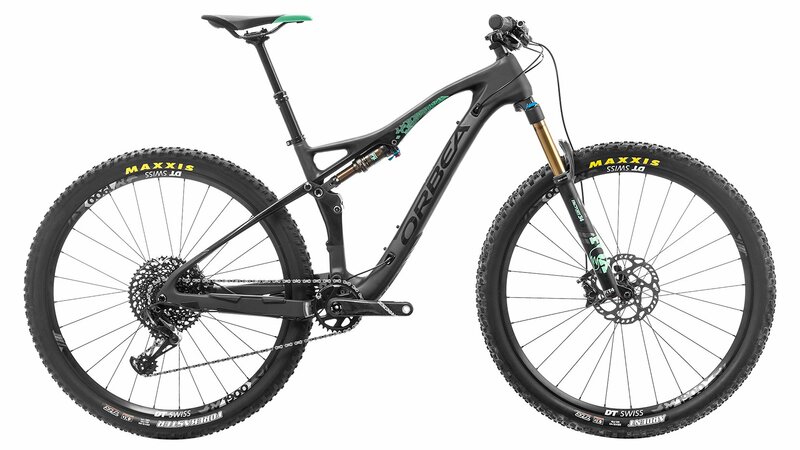 The OCCAM TR M10 is a trail bike to be reckoned with.